Hi loves! How are you doing? 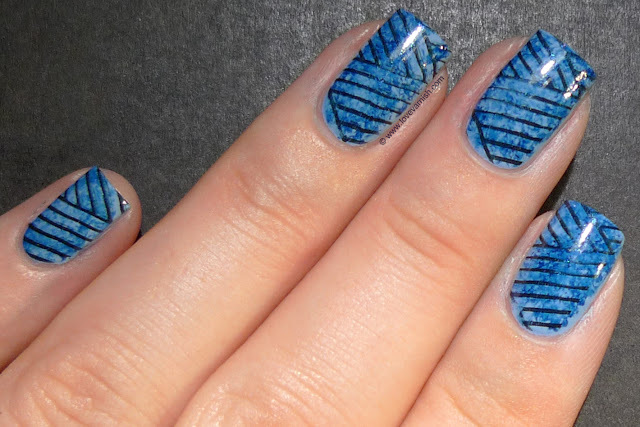 Do you think you can handle MOAR saran wrap marble nails :-D? I hope you do. I started with a base of Bondi Blue Skies. 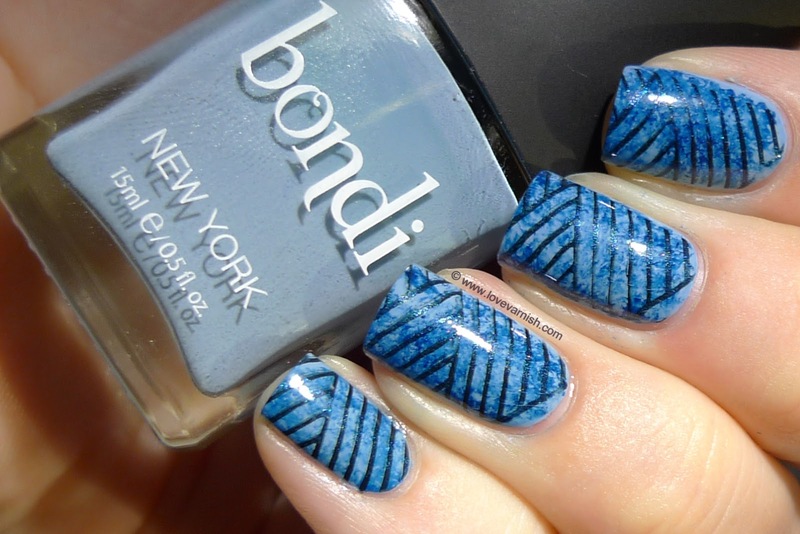 I used 2 coats but this beautiful soft blue creme almost covers in 1! I love how grey this shade is - so soft and delicate. Like a comfy sweater. Afte rit dried, I used the saran wrap marble technique and OPI I Saw.. You Saw.. We Saw.. Warsaw to create the marbled effect. I already liked this but felt the need to add more to it. 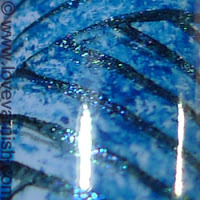 So I grabbed my stamping plates, and picked out Konad s6. This design is so pretty! I've used it before, in this manicure for example, and also here. I stamped using China Glaze Little Drummer Boy, because I knew it would sparkle a bit after topcoat. Little details ♥. One layer of topcoat and I was done! Do you like these nails? What is your favorite stamp? This looks so great!!! So far, my favorite stamp is the leopard print from Konad M93. I am dreadful at stamping but I love looking a what everyone else stamps! Pretty! Love the layering with different nail art techniques. 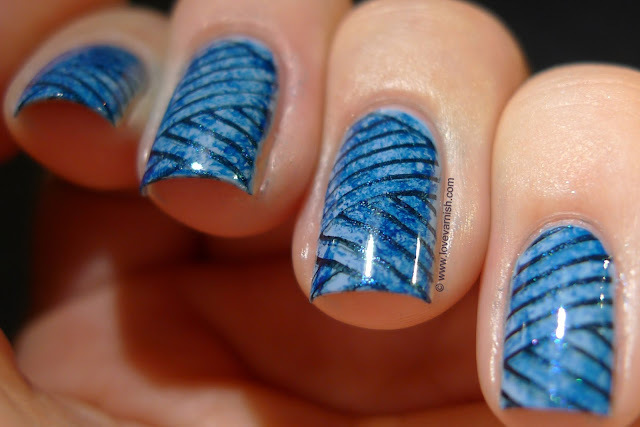 Don't you be sorry about all the saran wrap nails! You do them great! It almost looks like Little Drummer Boy is a glitter, lookit all that sparkle! Great combo Deborah! Love it. Gotta try it. Ah yes, leopard ♥. Great choice! Thanks Amanda! Glad you like it :). You're too sweet Angie! Yes the sparkle really shined through this way :-). Please do! Share on my Facebook when you did :-) I'd love to see!